Enterovirus. Tuberculosis. Cholera. Measles. Various strains of the flu and hepatitis. The number of infectious disease outbreaks and the number of unique illnesses causing them appear to be increasing around the globe, according to a new Brown University analysis of more than 12,000 outbreaks affecting 44 million people worldwide over the last 33 years. Menacing as that may sound, these preliminary findings also reveal an encouraging trend. On a per capita basis, the impact of the outbreaks is declining. In other words, even though the globe faces more outbreaks from more pathogens, they tend to affect a shrinking proportion of the world population. Sure enough, animals are the major source of what ails us. The analysis revealed that 65 percent of diseases in the dataset were “zoonoses,” meaning they come from animals. Ebola, for instance, may have come from bats. In all, such diseases caused 56 percent of outbreaks since 1980. To perform the analysis, the team worked to derive quantifiable data from the prose reports of outbreaks stored in the Global Infectious Disease and Epidemiology Online Network (GIDEON). They developed a “bioinformatics pipeline” to automate the creation of a database comprising 12,102 outbreaks of 215 infectious diseases involving 44 million cases in 219 countries between 1980 and 2013. The raw numbers revealed a steep rise in the number of outbreaks globally. Between 1980 and 1985 there were well under 1,000 such instances, but for 2005-10, the number surged to nearly 3,000. In those same timeframes, the number of unique diseases causing the trouble climbed from less than 140 to about 160. Of course, Smith and her colleagues reasoned, the increase could be due to factors such as better reporting of outbreaks and information sharing. To account for that, they paired the outbreak data with data on each country’s GDP, press freedom, population size, population density, and even Internet use (after 1990). Even after controlling for those factors, the numbers of outbreaks and unique causes rose significantly over 33 years. They also included latitude because previous studies had shown there are more infectious diseases in lower latitudes. From the analysis, the researchers were not only able to track trends in the total number of outbreaks in each country and around the world, but they could also analyze the host source of the outbreaks. They compiled top 10 lists for each decade of diseases causing the most outbreaks. 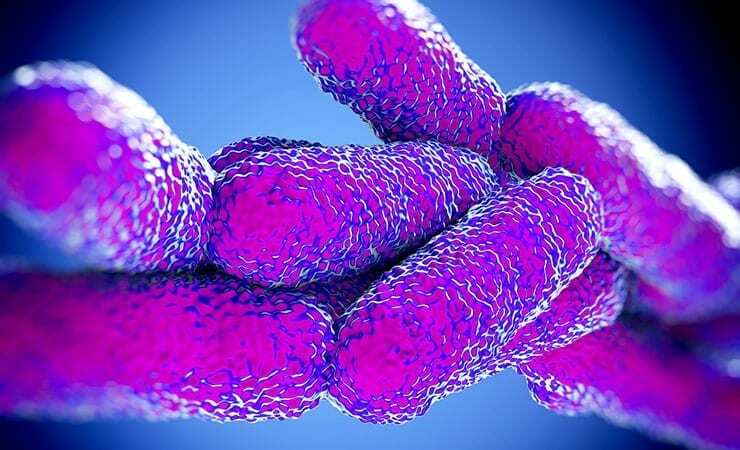 For zoonoses in 2000-10, salmonella topped the list followed by E. coli, influenza A, hepatitis A, anthrax, dengue fever, shigellosis, tuberculosis, chikingunya, and trichinosis. Notably, chikingunya, a painful mosquito-borne virus that has afflicted much of the Caribbean and Central America, was a newcomer in the decade. So was influenza A. Meanwhile, diseases that were top 10 scourges of earlier decades dropped off the list: campylobacterosis, cryptosporidiosis, and hepatitis E.
Among human-specific infections, gastroenteritis led the 2000s list, trailed by cholera, measles, enterovirus, bacterial meningitis, legionellosis, typhoid and enteric fever, rotavirus, mumps, and pertussis (whooping cough). Notable “newcomers” were mumps and pertussis, but adenoviruses and rubella had fallen out of their former prominence. Smith said it is certainly good news that although the world seems to face an increasing number of infectious flare-ups from a widening range of tiny foes, we are improving our public health and medical defenses as well. “Our data suggest that, despite an increase in overall outbreaks, global improvements in prevention, early detection, control, and treatment are becoming more effective at reducing the number of people infected,” the authors wrote. The analysis continues. Smith, who teaches in the Department of Ecology and Evolutionary Biology, is particularly interested in how global infectious disease patterns will shift with climate and land use change. “A warmer world, a world with altered landscapes, and a more urban world will undoubtedly have a new disease-scape to consider,” she said.